Beautifully display your violin with our Swing String violin hanger. Natural, solid oak wall mount for violin and bow. 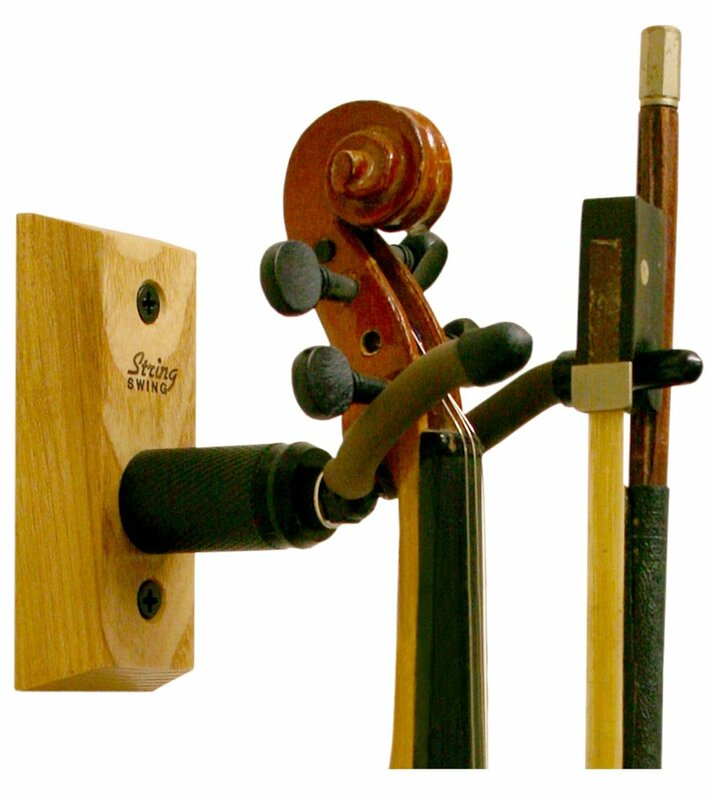 Yoke is covered by surgical tubing, pivots to any size violin and is adjustable by squeezing or expanding. Displays 3/4, 4/4 size violins and violas from 13" thru 17"